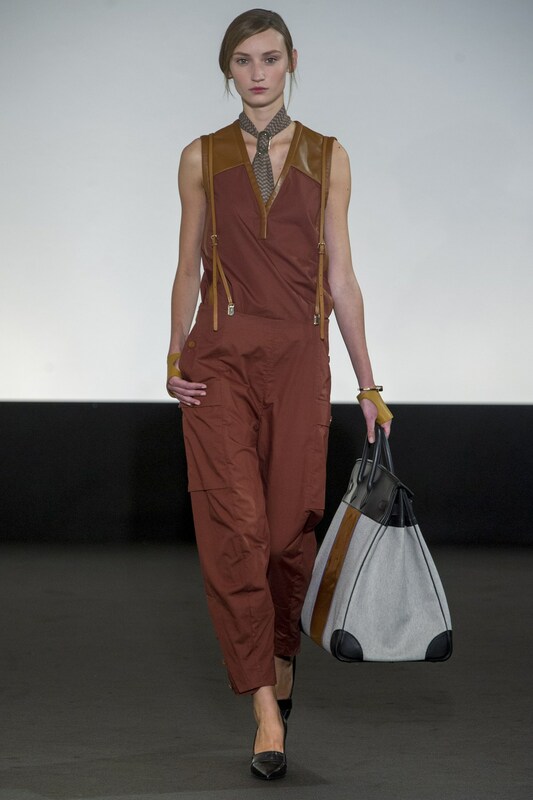 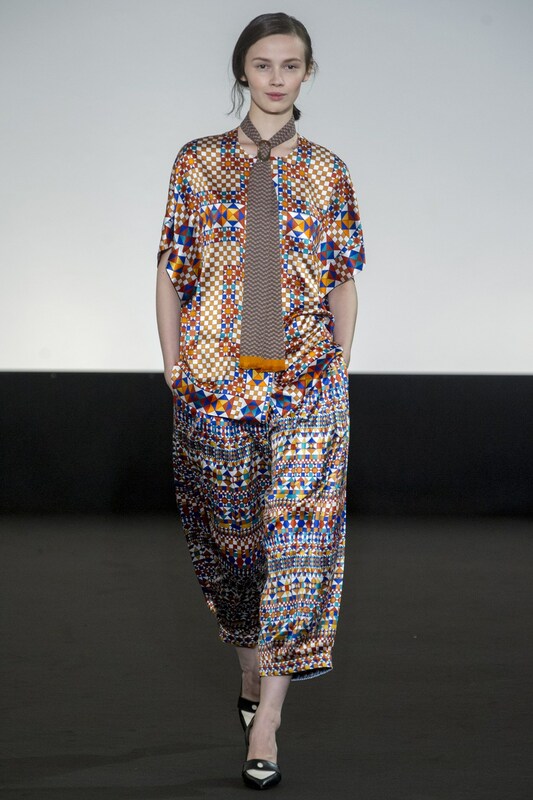 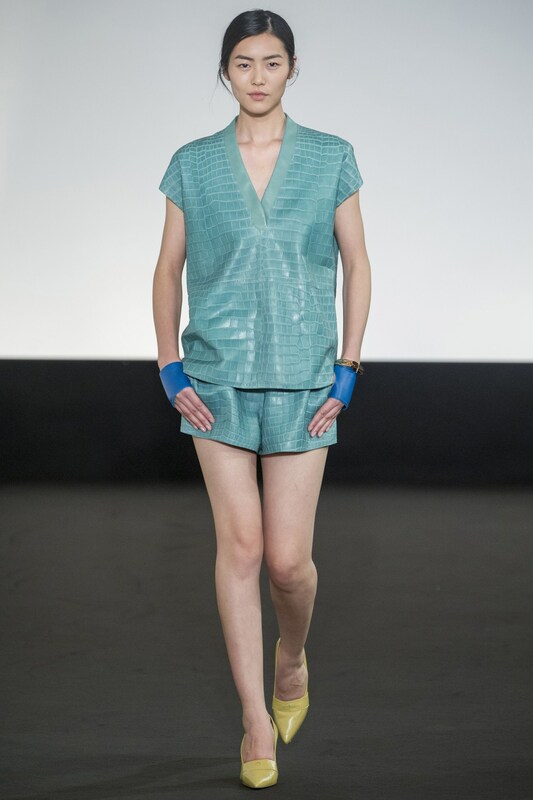 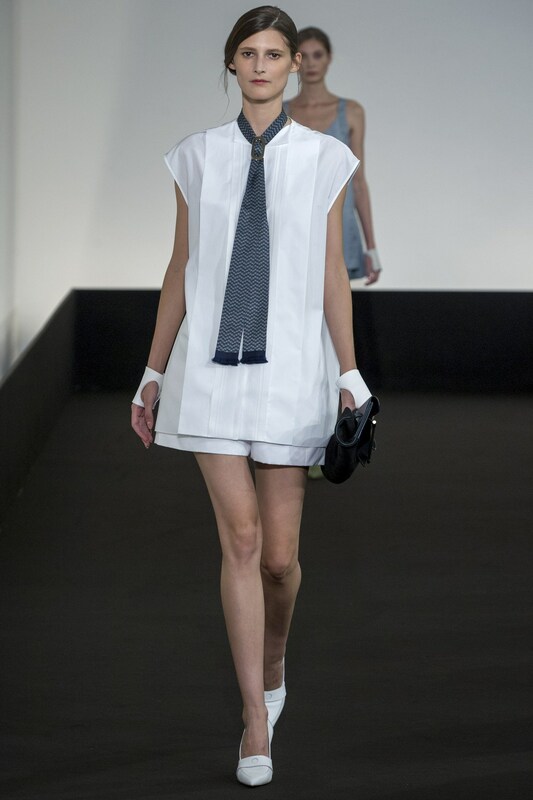 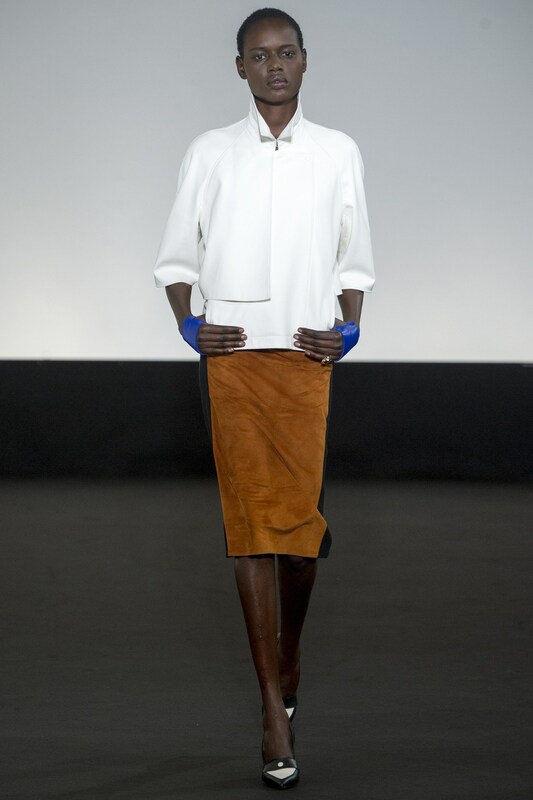 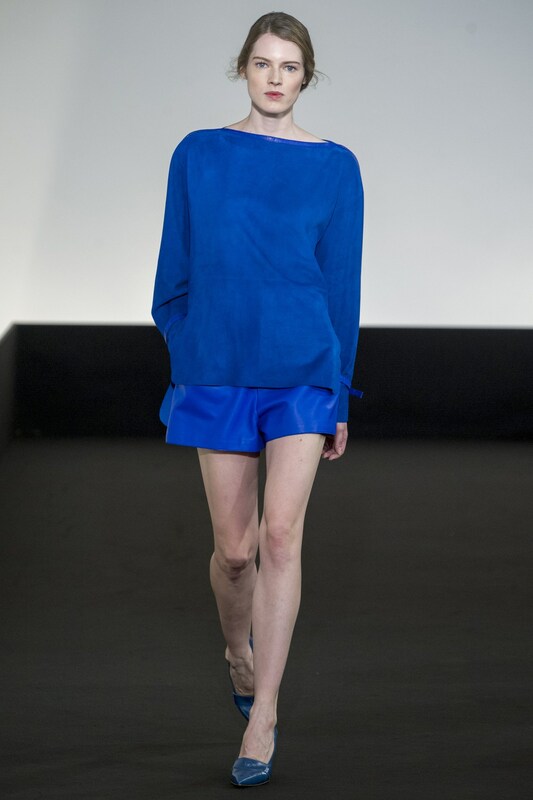 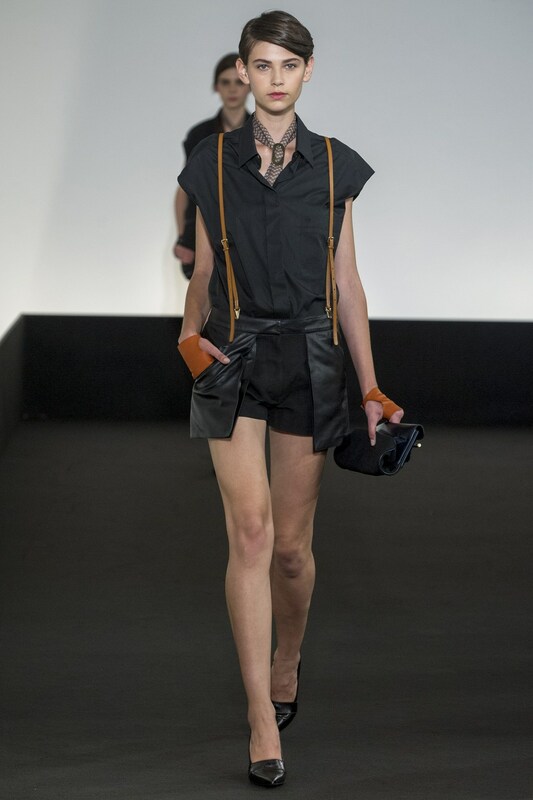 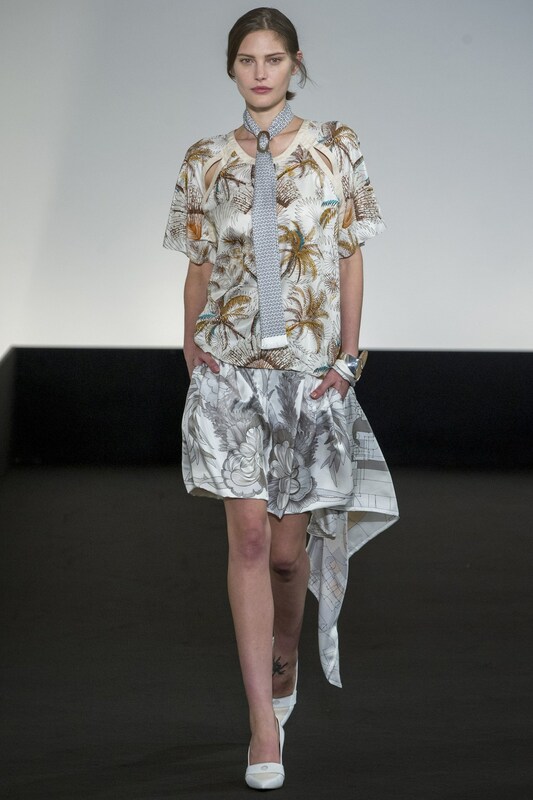 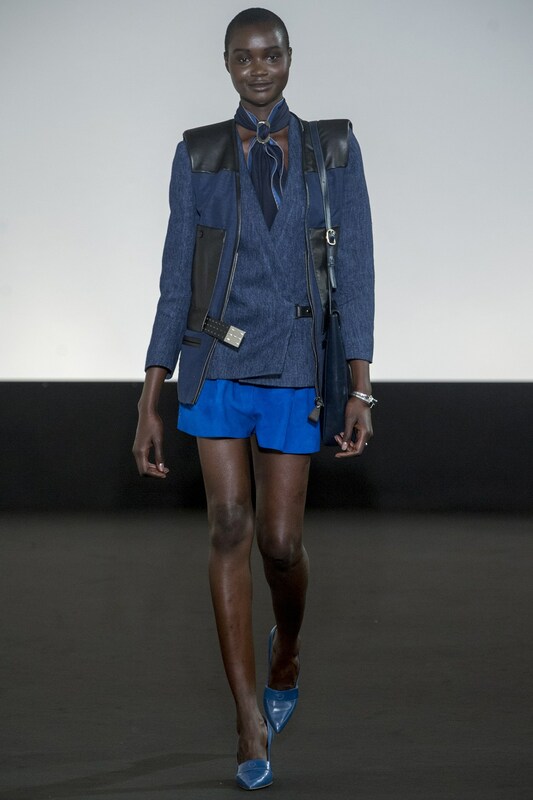 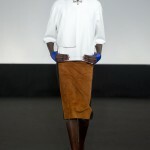 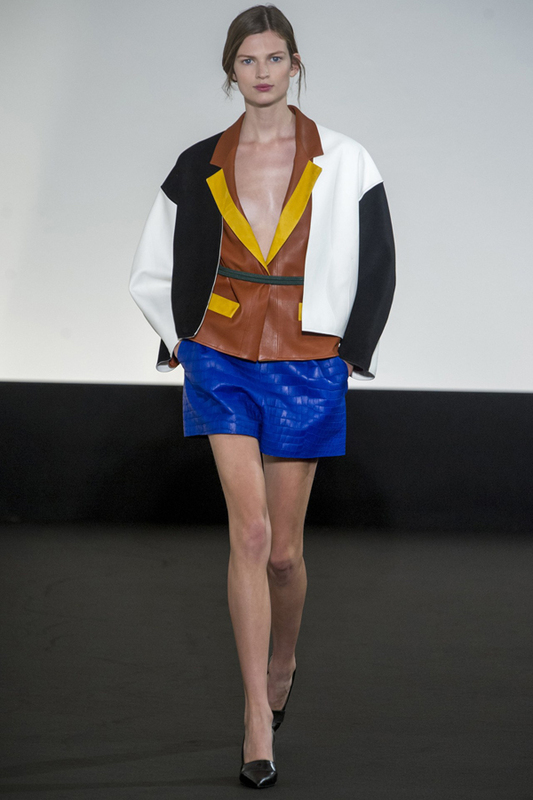 Christophe Lemaire of Hermes characterized this spring summer 2013 collection by the phrase “I wanted it to be both”. 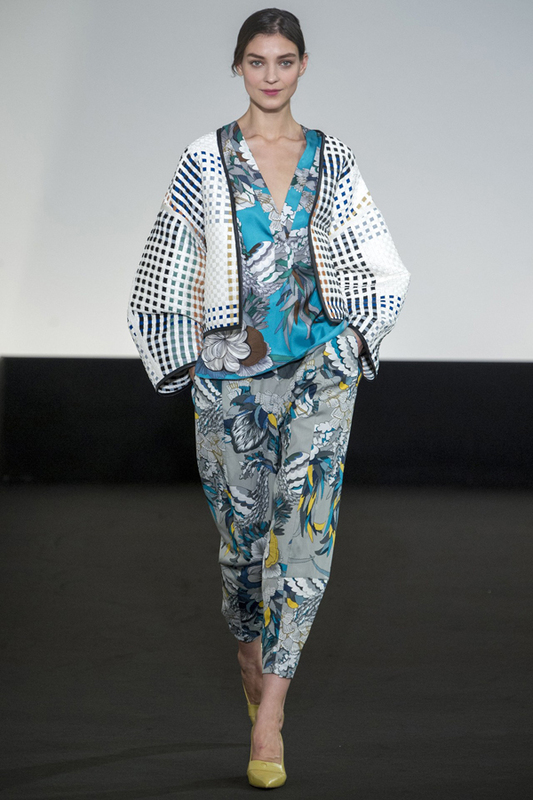 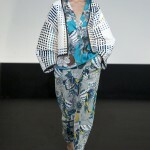 This collection by the high end brand Hermes features the clean-cut and edgy lines along with the bold patterns. 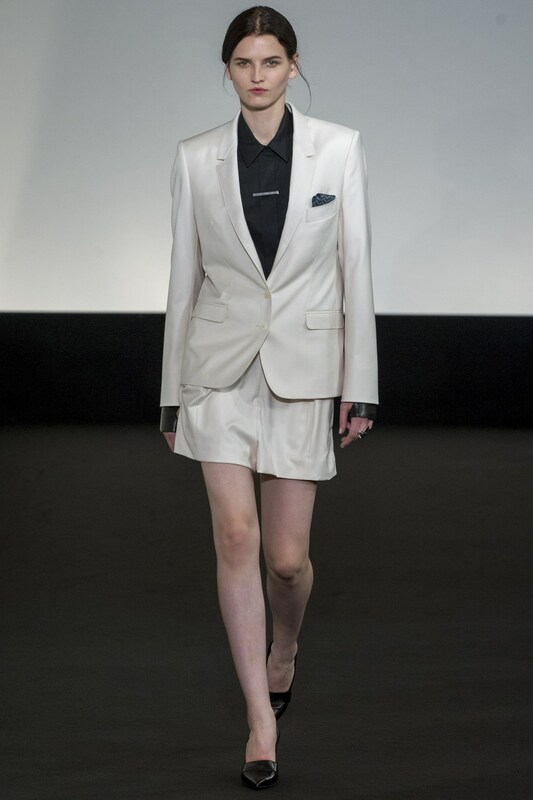 Behind these words Lemaire implies the sharp tailoring with the masculine feel, which is reached by introducing the square and angular cuts and the patch elements. 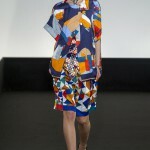 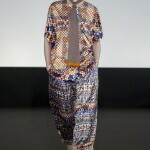 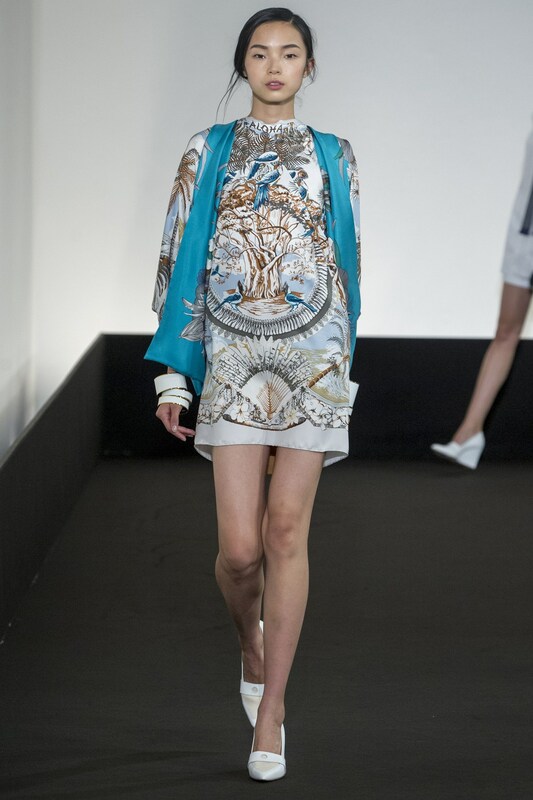 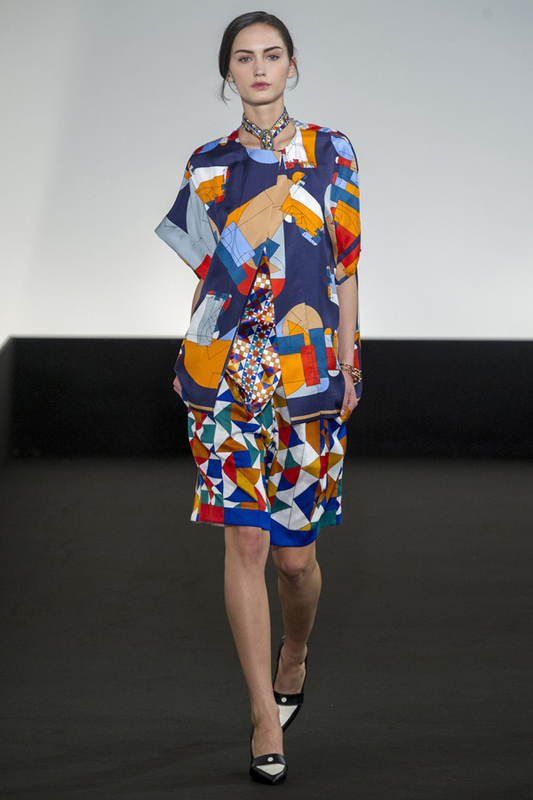 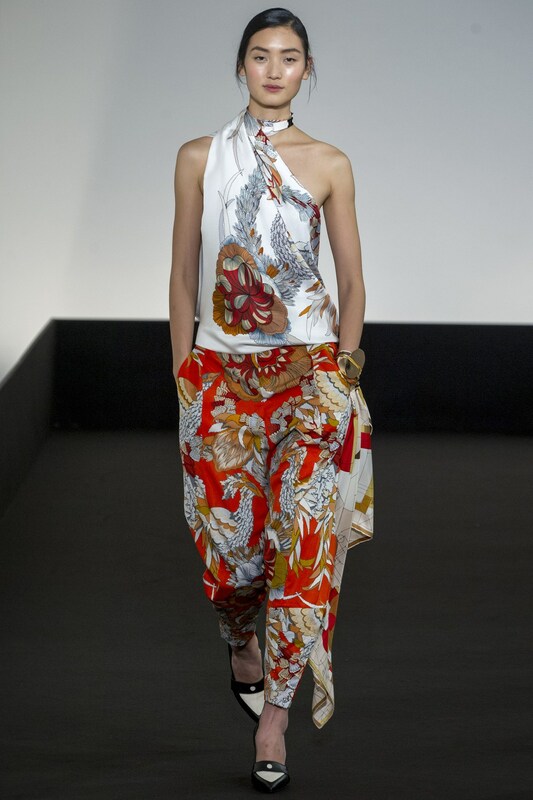 Besides, the designer incorporates bold prints and graphics into the collection. 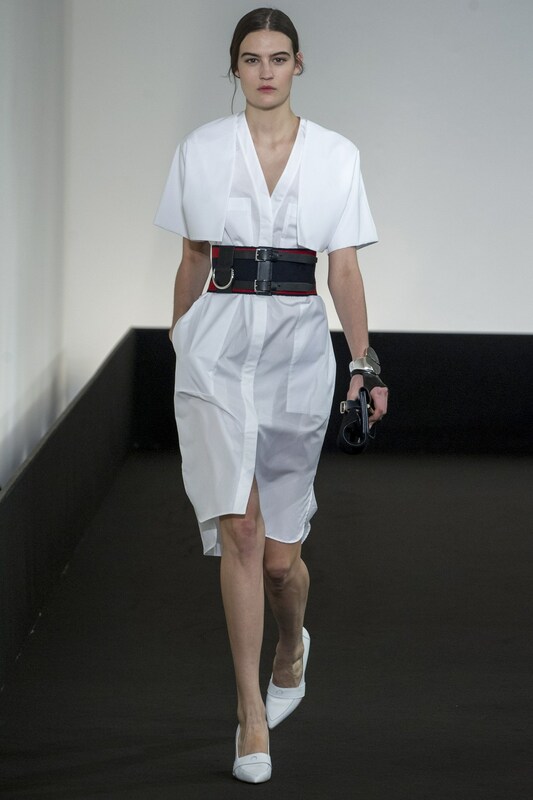 As for the accessories, designer complemented the trench coats and jackets with the large-scale belts and braces, which added the contouring effect to the free-flowing garments. 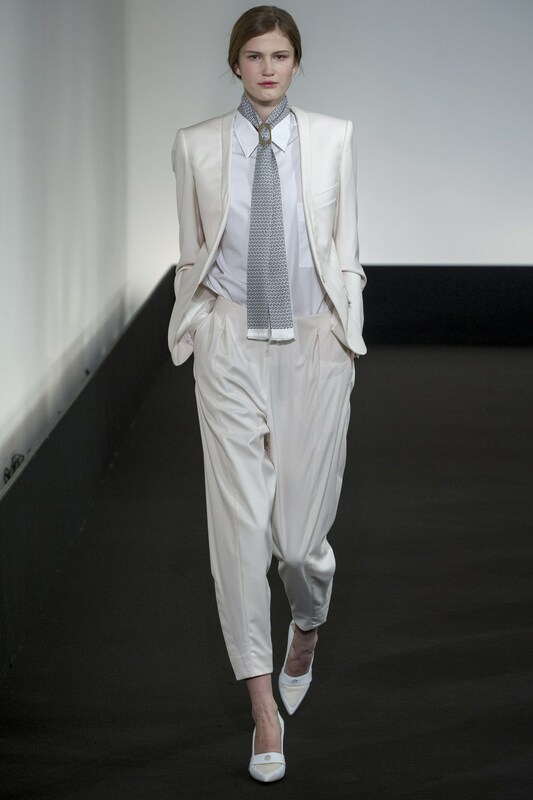 By the way, Lemaire started working for Hermes only four seasons ago after the departure of Jean Paul Gaultier.